Shop online for over 300 life-like-proto model trains at discounts up to 23%. 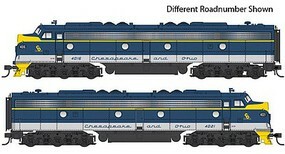 Locomotives is the most popular of the 5 life-like-proto model trains categories, then Passenger Cars, and Parts. This is the HO Scale Replacement Geared Driver Assembly (Diesel Wheelset) pkg(3) - For Early Proto 2000(R) from Life-Like Proto. Just as the prototypes broke new ground in style and technology, so do our Metroliners! Completely new from roof to rails, we've captured the unique shape of the Coach, Snack Bar Coach and Parlor Car in all-new tooling. 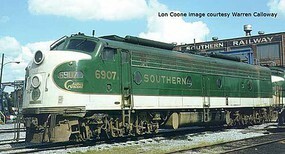 Based on Equipment in Service 1968-1982. Based on Equipment in Service 1968-1982. Each comes fully assembled with Walthers real metal stainless steel finish complemented by ultra-sharp Amfleet Phase I paint and lettering including factory-printed car numbers. This is the HO Scale UP(R) Heritage Series 85' ACF Dome Diner - Lighted - Ready to Run - Union Pacific - Colorado Eagle from Life-Like Proto. This is the HO Scale 85' ACF Diner - Lighted - Ready To Run - Alaska Railroad (1990 Scheme, blue, yellow) from Life-Like Proto. This is the HO Scale 100 Ton ASF Roller Bearing Sprung Truck 36 inch Metal Wheels and Axles from Life-Like Proto. This is the HO Scale Superliner Airbag Truck from Life-Like Proto.